Papua New Guinea Old Shoulder Shield Wood Madnag Province Archers Shield 24"
This is a Wonderful Old Wood Shoulder Shield from the Madang Province, Papua New guinea. 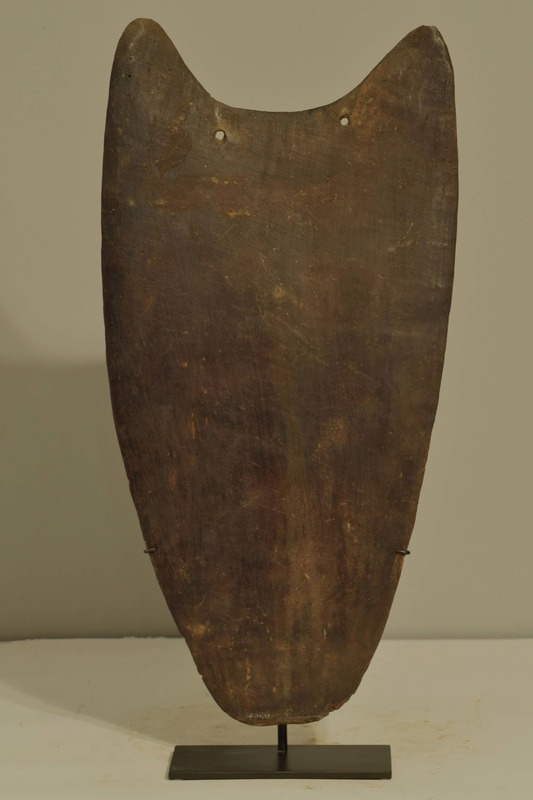 This heart shaped shield is carved in the classic shoulder shield shape, with an attached string to suspend it from the shoulder, but this string is missing. They were worn quite low down to protect the abdomen of the archer as he was standing sideways to aim, hence the relatively small size. These diminutive archers shields are carved in a small area of Madang Province. 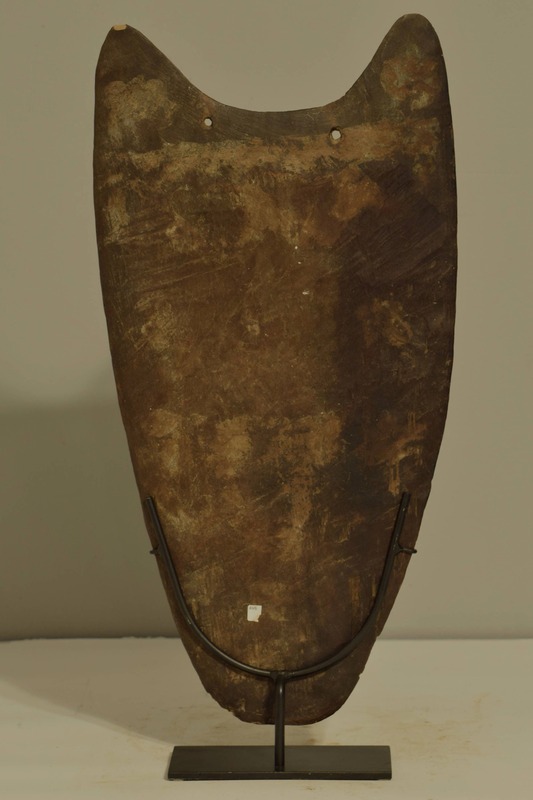 A one of kind shoulder shield would be a great addition to your collection or home. This shield shows loss of patina and scratches, but it is in good condition.